Sprint 15 class racers benefit from a two day intensive Windsport coaching session with Brian Phipps. Hosted by Stewartby SC situated in the middle of the country the specialist program delivered a comprehensive series of activities on and off the water. 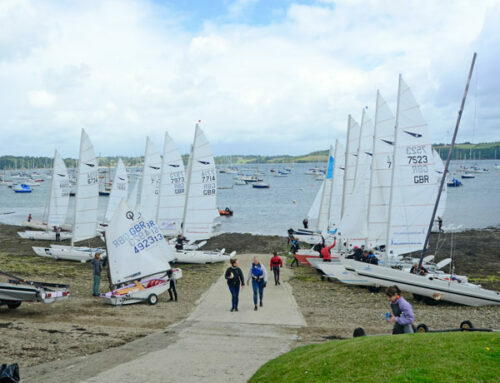 The opportunity to focus on specific aspects of sailing the Sprint15 fast and experience boat handling skills under pressure as challenging start at the beginning of the Sprint 15 summer open meeting program. For those who could not make the training on this occasion the Windsport coaching team offer training and coaching all year round for individuals and groups of catamaran sailors just contact the Windsport information desk to discuss your requirements.